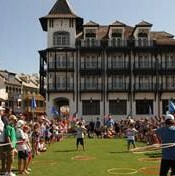 Rosemary Beach vacation rentals are unforgettable and perfect for any size group. Planning a destination wedding to Rosemary? No problem. 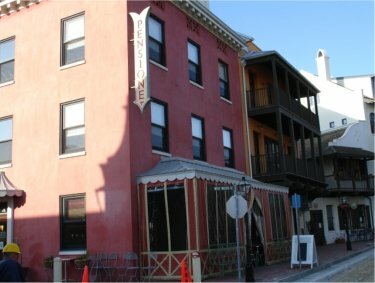 There are large houses for rent in Rosemary and cozier condominiums and guest houses for those single friends and couples traveling without children. 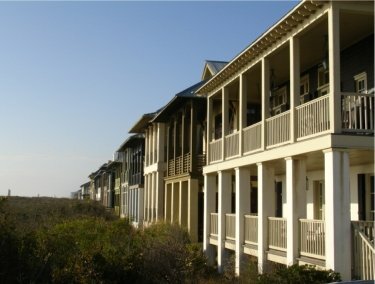 Vacation rentals in Rosemary Beach, Fl. can be clustered together too and most include access to gorgeous community swimming pools, bicycle rentals, a fitness center and tennis club. The architecture in Rosemary Beach is inspired by St. Augustine, the Caribbean and the West Indies and is constructed with rich woods, fine finishes and an attention to detail that you’ll appreciate. Outdoor, enclosed courtyards create a relaxed environment for an early morning read or a late afternoon shrimp boil. Some Rosemary Beach courtyards are designed with small swimming pools and fountains and a few even have their own personal playgrounds (perfect for a family with small children). And every home is within quick walking distance to both a swimming pool and the Gulf of Mexico. So what are you waiting for? Rosemary Beach Cottage Rentals is the on-site vacation rental company for Rosemary Beach. They offer luxury rentals of various types of properties including elegant family cottages, carriage houses, flats and contemporary lofts. The Pearl, an ultra luxury boutique hotel located in the idyllic beach town of Rosemary Beach, Florida, offers an intimate, inspired, irreplaceable setting for romantic getaways, family vacations, weddings, spa retreats, group meetings and events. Experience the hottest new hotel on Northwest Florida’s 30A.